Recently I have been looking at new keyboard options for gaming, my current membrane keyboard is giving up on some keys. After some pretty exhausting research I found there are multiple gaming keyboard types, so I’ve decided to put this post together to help anyone else out who’s looking for a new mechanical keyboard and is on the fence about what key type to pick! 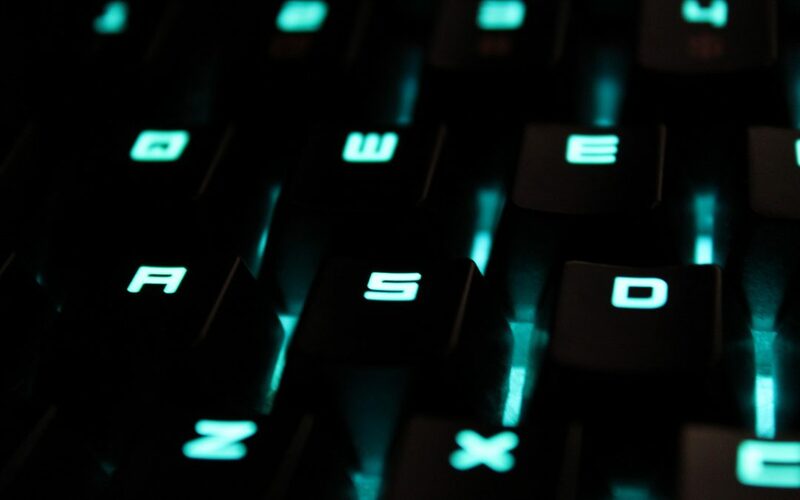 Mechanical Gaming Keyboard Key Types have brought a significant change in the gaming world as it assists in improving the overall responsiveness. Both of these switches that is, the tactile and linear switch could be used for the purpose of gaming as well as typing. However, according to some experts, tactileswitches could be considered better for the purpose of typing whereas for gamers the linear switches would be a better option. The linear switch acts more like a membrane key when it comes to actuation whereas the tactile switch requires a halfway pressing. These particular switches are classic, old-fashioned, and are available in a huge variety, for example, Cherry MX Silver or Speed, Cherry MX Browns, Cherry MX Blacks, Cherry MX Blues, and Cherry MX Reds. The Cherry MX switches have a really high standard. They are considered to be a benchmark. These are vital for the gamers as these are designed specifically for them. The actuation force for Cherry MX Speeds is usually 45 g. These kinds of linear switches have 1.2 mm of travel in comparison with the usual. These are the tactile switches. The activation force required for the Cherry MX Browns switches is 45 g.
These are the linear switches with an actuation force of 60 g.
These particular switches require an actuation force of 50 g and are very audible since they make a lot of noise. Cherry MX Reds are regarded as the linear switches comprising of an actuation force of 45 g. These particular switches are ideal for both the purposes. That is, gaming and typing. These switches are common among the users and don’t make much sound while typing which make them favorable for the office use in particular where the working environment is required to be quiet and comfortable. In comparison with the Cherry MX switches, the razer switches are considered to be more durable and responsive. The change in the typical switches was brought in the year 2014. The Razer Greens, Razer Oranges, and Razer Yellows are some of the types. The Razer Greens have the actuation force of 50 g and there is an immense sound produce while typing. The Razer Oranges have the actuation force of 45 g and these are considered to be tactile. These switches are also ideal for the kind of environment which is preferred in offices. These particular switches would also be ideal for the home-based workers are they produce a very minimal sound. The Razer Yellows are the linear switches comprising of the actuation force of 45 g. The Razer Yellows are considered to be ideal for the gamers as compared to the Razer Greens and the Razer Oranges.